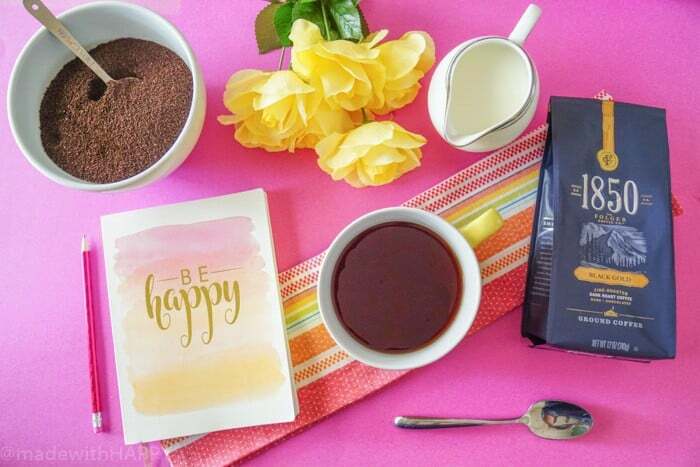 Whether you are an early riser or not, we’re sharing our 5 steps to a HAPPY morning routine. How many times have you been asked if you’re a morning person? All the time right? How do you answer? Since I was little, I would always be up before the sun, so for me, I would answer “Yes, I am a morning person.” But isn’t that saying so subjective? What makes you a morning person? Waking up early? Enjoying your mornings? Making the most of your mornings? Regardless of whether you are hardwired to wake up early or are up and at it with help with an alarm, I think its important to start your day off HAPPY. 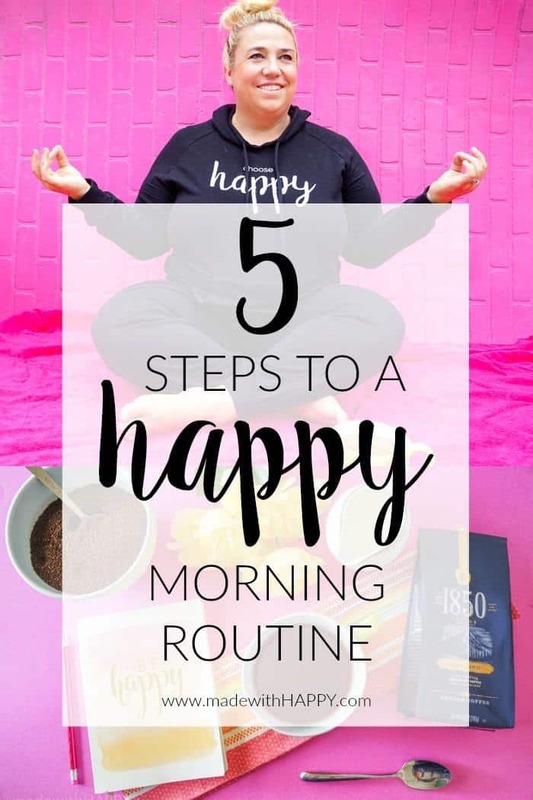 We’ve tried a number of different activities within our morning routine, and here are the five that we have found make for the most HAPPY day ahead and the most productive. 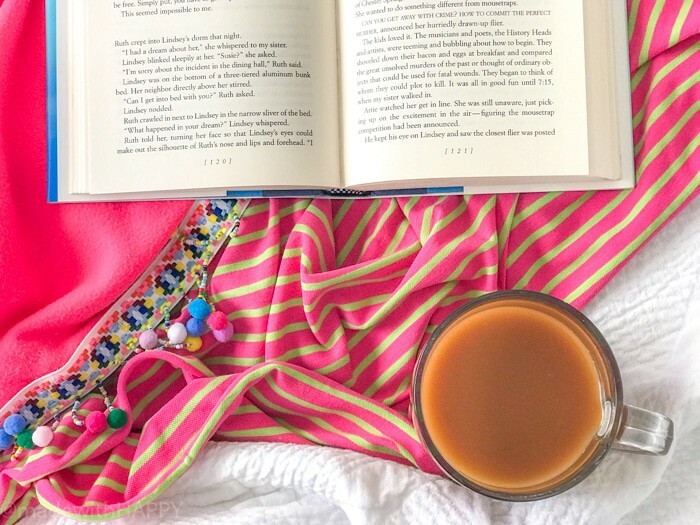 Quiet Time – Waking up before the family and giving yourself some time is essential. Whether you take this time to pray, meditate, or gratitude, having a moment to simply calm your mind will soon become one of the most important parts of the morning. There are libraries of books on the topic of prayer and meditation and while I am no expert, I have found that the mornings I am able to pray and meditate for even 10 minutes, my day runs significantly smoother and HAPPIER. Coffee – Yep, it makes for a HAPPY morning my friends. I read that American consume 400 million cups of coffee a day, so needless to say I am not alone in this morning ritual. There is something incredibly soothing about the making of coffee and the scents and warm calming taste as it hits your lips. 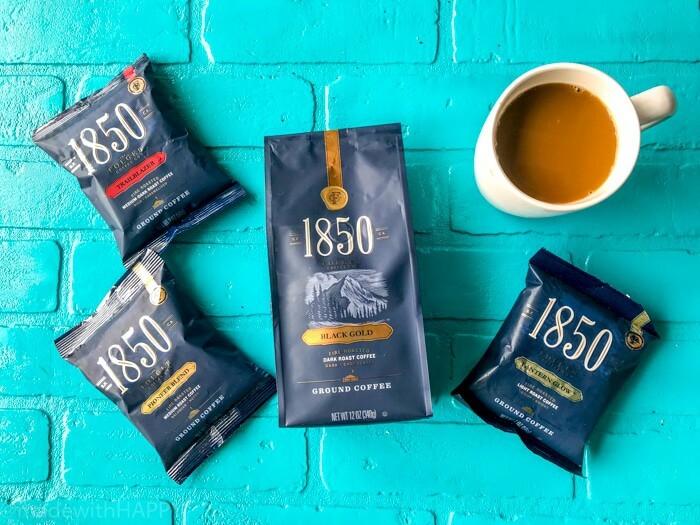 I recently found 1850 Brand Coffee, a new premium coffee from the makers of Folgers, at Target and decided to give it a try. That was even before working with them on this project! What I found was that the unique blend delivers bold, yet smooth taste. Perfect for me as I’m hustling and juggling both being a Mom and a small business owner. It was when we started working together that I learned more about the awesomeness of the 1850 Brand Coffee. Back in 1850 J.A. Folger made a bold life choice and started a making coffee for the prospectors as they sought their fortunes. 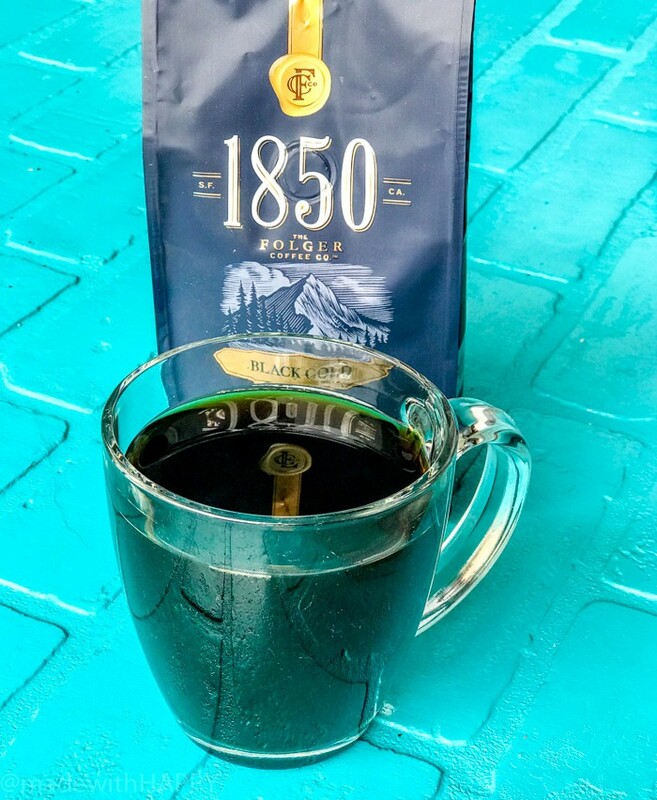 Now over 150 years later, there is no better way to start your morning than with bold-yet-smooth cup of coffee. Committed to that, 1850 Brand Coffee is fueling bold folks who have new ideas and brave endeavors. Plus they fire-roast their coffee beans and ground them to bring out the rich tastes, which makes my tummy and soul happy in the morning! Movement – There are so many benefits to moving your body in the morning from enhancing up your metabolism to improving your mind and body energy. Even if its 10 minutes of stretching, moving your body, improves your overall health as well as adding happiness to your morning routine. Get Organized – To some this might come as a no-brainer, but for others this might just be the game changer. Taking a look at your to-do list from the day before and the activities for the day, organizing your day is so important. 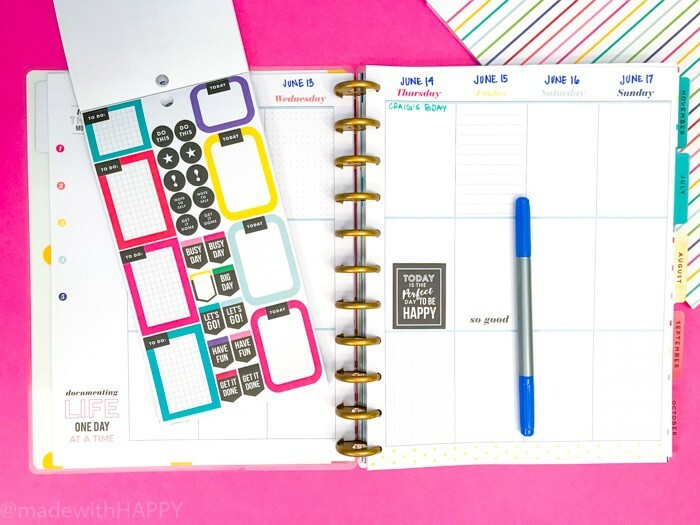 This eliminates so much of the chaos from the day when you know not only the things you need to get done, but the meeting times and kids activities. I found that by simply making a list each morning, makes my day run a thousand times smoother than when I’m flying by the seat of my pants and missing deadlines. Set Goals – This is often overlooked. Especially by Moms. While we may still have dreams and goals in life, we neglect setting small every day goals. It can be as simple as visualizing your perfect day or as big as what I can do today to chip away at the big shoot for the stars dream. The point is that daily goals do not have to be big, but by thinking about it, it gets your brain moving and thinking and moving towards the positive and the HAPPY. I know that mornings can be chaotic at times, but what I found is that by waking up just 15-30 minutes earlier, I am able to have some prayer and meditation time, grab a delicious cup of coffee, stretch or exercise a bit, and organize my day along with reviewing and setting a goal, all before the kids get up. This makes for much happier days then when I don’t. Things just tend to run smoother and much more productive. PIN IT TO YOUR HEALTH AND FITNESS BOARD ON PINTEREST!